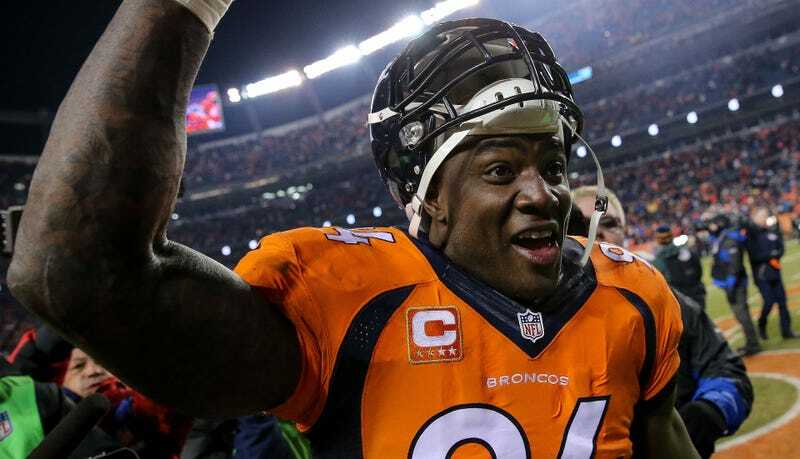 Broncos defensive end DeMarcus Ware is retiring from the NFL after 12 seasons, nine Pro Bowl appearances, and 138.5 sacks. He announced the move this afternoon, citing concerns over his long-term health. Ware played nine seasons for the Cowboys and finished up his career with three more seasons in Denver. He only missed the Pro Bowl three times, yet he still racked up 18 sacks across those campaigns despite missing several games. Ware only finished with single-digit sacks in four seasons and though he was slowed by a back injury, his eventual decline was not precipitous. The crowning achievement of Ware’s career was the Super Bowl he won with the Broncos over the Panthers in 2016. I say “he won” almost literally, since Ware and Von Miller’s romp through every offensive line in front of them in the 2016 playoffs was as instrumental as anything the Broncos did on their way to the Super Bowl. Miller was the best player on the field for the Broncos that year—finishing the playoffs with five sacks, an interception, and a pair of forced fumbles—but Ware’s work on the opposite edge as Miller gave opposing teams nowhere to hide. Miller also credited Ware with helping him refocus and turn into one of the best defenders in the game back in 2014, after he tore his ACL and spent six games of the previous season suspended for trying to cheat an NFL drug test. When the Broncos beat the Patriots in the AFC Championship Game, they hit Tom Brady a decade-high 20 times despite blitzing on a season-low 17.2 percent of plays. Ware was only credited with half a sack in that game, but he hit Brady seven times. Two weeks later, he sacked Cam Newton twice and had no problem getting through the Panthers’ offensive line. You don’t top 11 sacks in seven straight years by being a pure specialist, but Ware was as good as any edge rusher of his era this side of J.J. Watt at exploding around a tackle and zipping right for the quarterback. What made him truly great was his ability to also go inside as well, and when he was at his best, he beat blockers on the inside as often as he did outside. 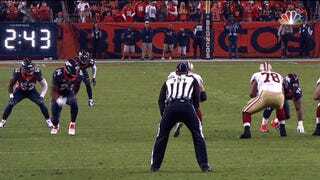 My favorite Ware highlight was when he utterly hoodwinked Joe Staley in 2014 and turned the All-Pro tackle into a bowl full of jelly en route to a sack. He finished just four sacks shy of Michael Strahan’s career mark and sixth on the all-time list, but he’ll retire with plenty done. Jordan Cameron Retires After Four Concussions In Four Years: "I Can&apos;t Risk My Mental Health In The Future"